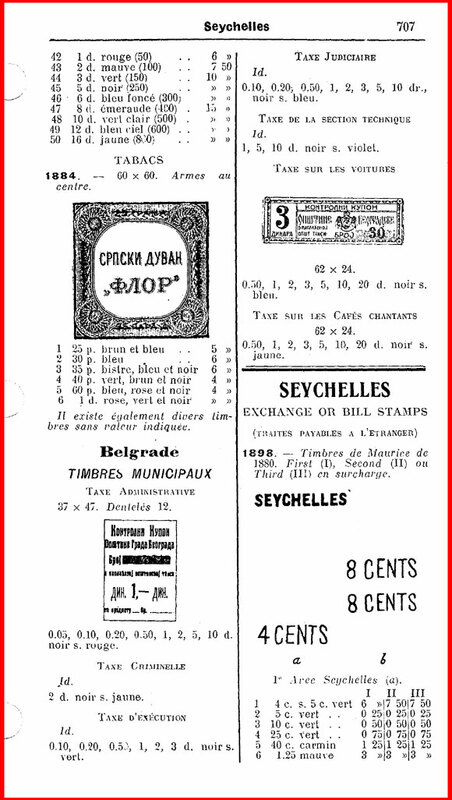 While the stamp prices are no longer accurate (which is to be expected after 89 years), Forbin still remains an invaluable tool for referencing varieties and judging relative scarcity of worldwide revenues! Access to the online edition is available for a low one-time charge of $9.95 (no shipping and handling). The login and password will be emailed to the email address that sends the PayPal payment within 72 hours. If you already have your login and password, click here to access the online version of the Forbin Catalog! If you have any questions, please email info@revenue-collector.com.